It’s kind of hard to believe that it’s time to start planning for back-to-school already! Can’t we just pretend summer never ends?! 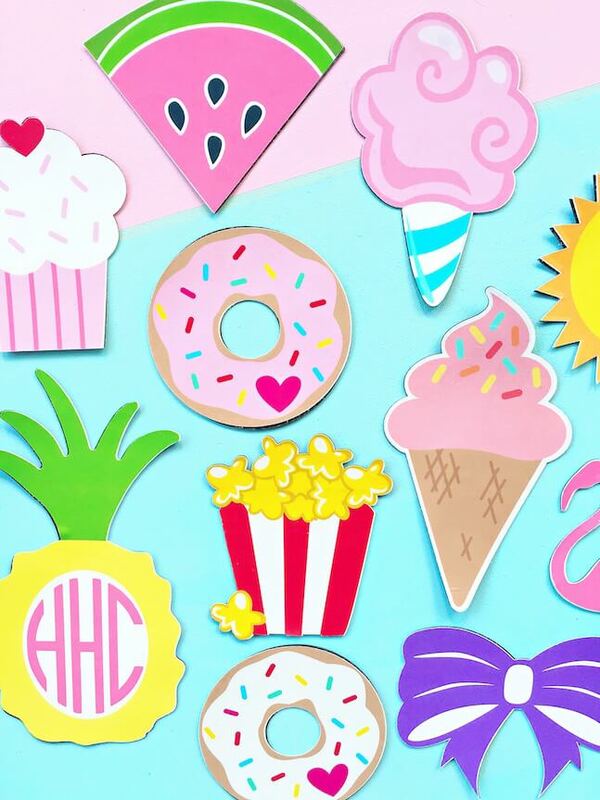 These summer themed locker magnets are a quick and easy way to send a little bit of summer to school with your teenager. Or, you could just keep them for yourself because lets face it, they’re just that cute! 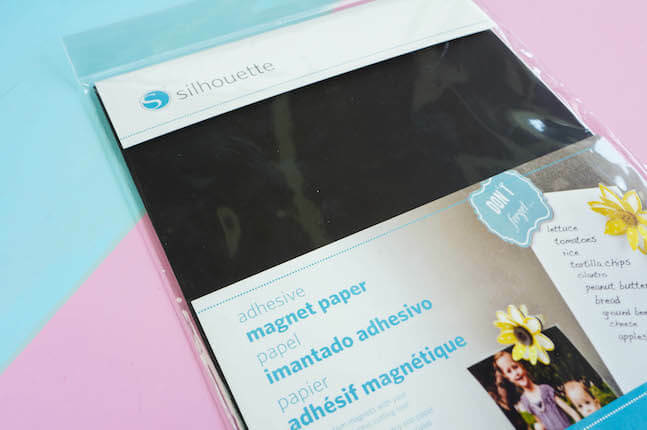 Grab yourself a package of Silhouette’s adhesive magnet paper and some printable white sticker paper (or vinyl) and you’ll have your own set of custom magnets in no time! This is a great project for beginners, it’s literally just a series of the exact same cuts on different materials and then combining them to create a stylish and sturdy magnet. The most time consuming part for me was the actual designing of the images. Once your cuts are made you can have these assembled in less then 10 minutes. 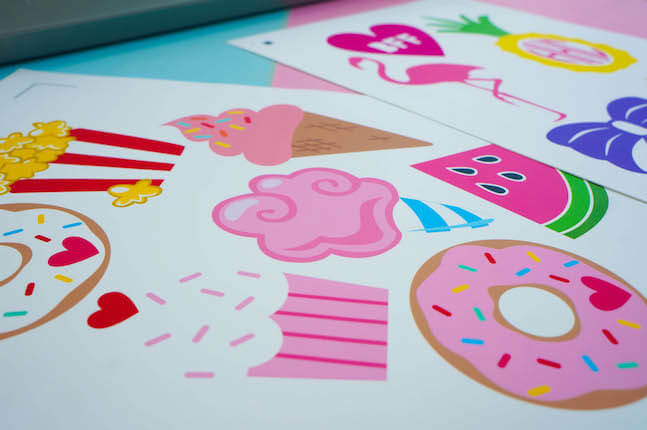 Set up your designs inside the registration guidelines and print onto inkjet printable vinyl or white sticker paper. Now you can load your magnet paper into your machine and repeat the same cuts. Magnet paper is pretty thick and needs to be double cut on a blade setting of 7. The recommended settings in Studio are a blade setting of 6 but I found that it didn’t go all the way through even after the double cut so I bumped it up to a 7 and it worked great. When you load the paper into the machine just be sure the white side is facing up. Peel the white backing away from the magnet paper and peel the same printed shape away from the printed vinyl backing and stick the two together. It couldn’t be more simple! This last step is totally optional but I definitely recommend it to prolong the life of your magnets. 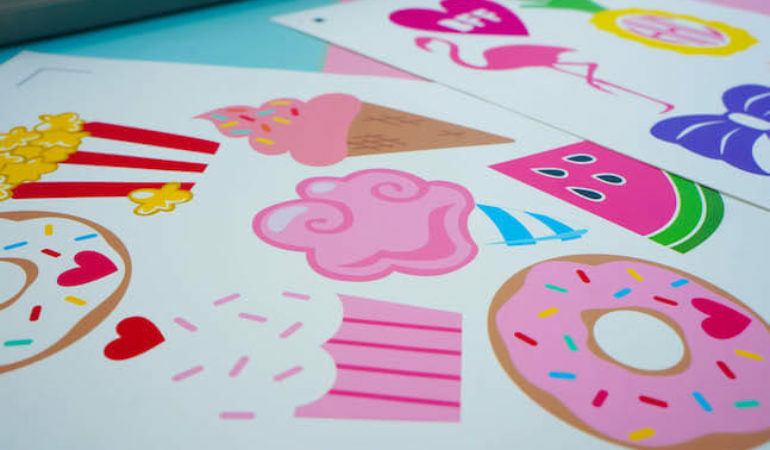 Printable vinyl is very easy to scratch and ruin. Covering the printed designs with a clear vinyl overlay will prevent any damage to all of your hard work and time! If you don’t have any on hand, you could also use clear sticker paper. Just load the material into the machine and cut the same shapes a third time then attach it to your printed magnets, carefully! If you stick it down crooked and try to peel it away, your ink will peel away with it. 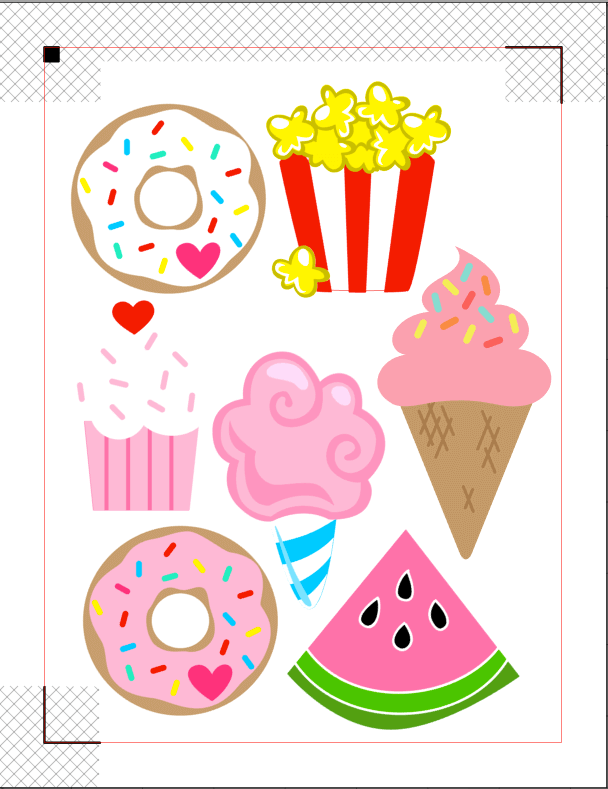 Silhouette’s magnet paper is super fun and easy to work with. If you’re looking for more ideas check out the Silhouette Blog for more inspiration! 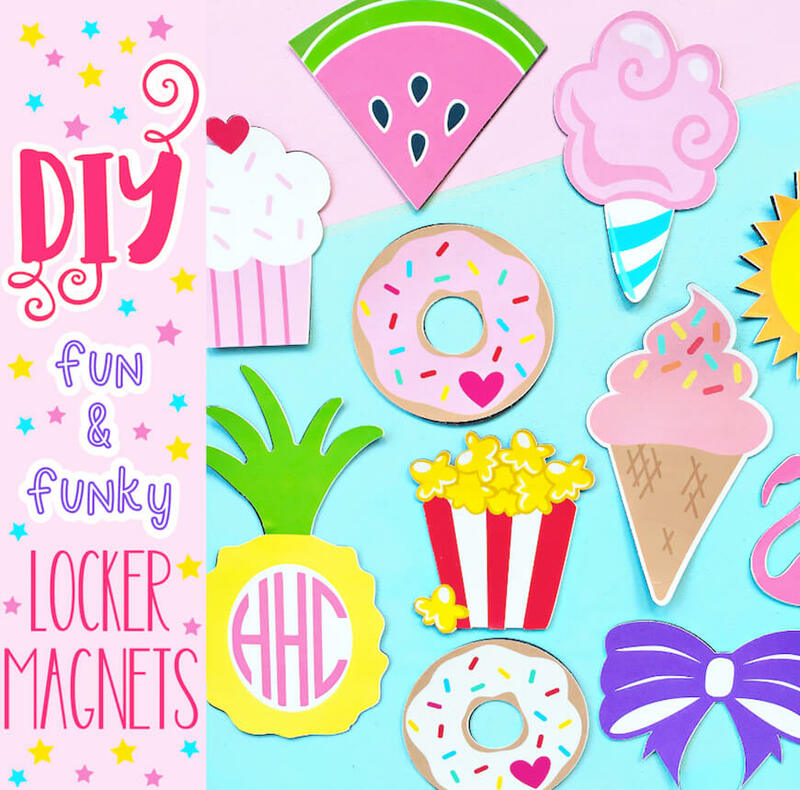 1 Comment on "These fun and easy to make locker magnets are literally the best thing ever!"